In those amazing late Sixties, new sounds, new groups, fabulous records were tumbling in a never-ending stream from our transistor radios. 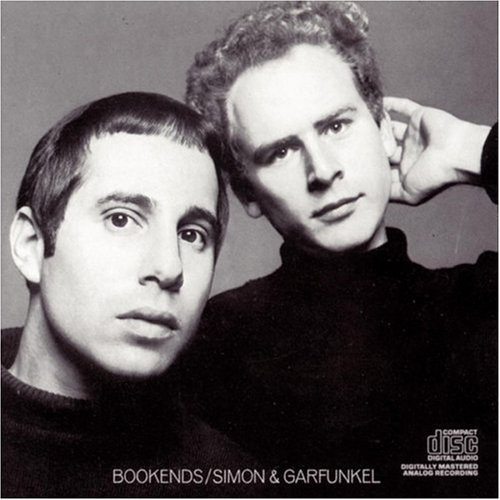 I heard ‘Sounds of Silence’ and was hooked instantly, but for a few years I, along with millions of others, assumed that Simon and Garfunkel (weird, but hey) were their Christian names. We also had no idea that Paul Simon wrote all the songs and played guitar, Artie with the voice of an angel just sang most of them. Their harmonies, like the Everlys, who were their idols, were perfect. But it was always the songs that got me. I particularly loved ‘I am a Rock, I am an Island’, which in my teenage angst I identified with perfectly – my books and my poetry to protect me. Hits followed hits, ‘Scarborough Fair’ (Parsley, Sage, Rosemary and Thyme), ‘Homeward Bound’, ‘59th Street Bridge Song (Feeling Groovy), and ‘America’. They were asked to contribute songs for the best film of the Sixties “The Graduate” and came up with ‘Mrs Robinson’, Then came their Masterpiece “Bridge Over Troubled Waters”. Few songs are anything like as brilliant, but the whole album is just wonderful, every song perfect and perfectly following each other ‘Cecila’ and ‘Keep the Customers Satisfied’ and ;’The Boxer’ and ‘The Only Living Boy in New York’ being my favourites. What none of us knew at the thesetime was that the pair were not the perfect happy couple depicted on their record sleeves. Paul was writing better and better songs and was frustrated by Artie who not only sang with such a saccharine sweet voice but was spending time on his film career and not working as hard as Paul in the Studio; one time he got quite angry in an interview as it was inferred that Artie was the songwriter. Trouble lie ahead, but we are so lucky to have just these five wonderful albums of the duo. They have re-united a few times over the years for lucrative live tours and once recorded a whole album together (Hearts and Bones), which Paul then deleted Arties vocals and replaced them with his own; I wonder if we will ever hear those earlier versions?